That’s Bob McBride’s old car. He used to drive the cheerleaders around in for the Wrech Tech parade. 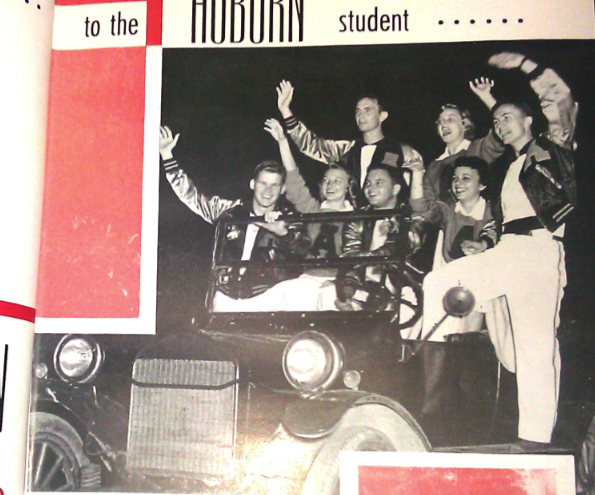 They asked him to step out for this photo featured in the opening section of the 1953 Glomerata, but if they knew he was pals with the King of England, they probably wouldn’t have. Bob McBride, the director of youth summer camp Camp Mac in Munford, Ala. since 1957, turned 82 today. He couldn’t go to the Iron Bowl last year. He was recovering from cancer. He’ll be at the game tomorrow, though. If Auburn upsets Alabama, he might write a poem—there’s precedent—or he might cause an international incident. In 1948, Bama slaughtered Auburn, 55-0. It was the time first time the two teams had played each other in 40 years. In 1949, Auburn and Travelin’ Travis Tidwell got revenge, stunning the Tide, 14-13. It was a big deal. MacBride, a member of Pi Kappa Alpha and a sophomore in electrical engineering at Auburn at the time, was there to see it. After celebrating in Birmingham, he headed back to Auburn. “We were back at the Pi Kappa Alpha fraternity house that night and we had some brothers that felt [Auburn’s win] was such tremendous news that everybody in the world ought to know about it,” McBride says. He started with a call to George VI, obviously. 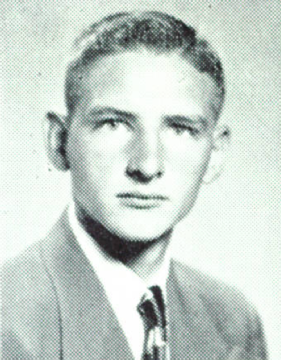 Auburn sophomore Bob McBride in 1949. Somehow—’cause there might have been some liquor involved, who can say—the Pikes convinced the international operator that the call was a life-and-death matter of international importance. He hopes he’ll have cause to try again tomorrow night, and that he can add the score of another game, one he’s thankful to be able to see, especially in person. Related: Read Bob McBride’s “Twas the Night before the 1949 Iron Bowl” poem.